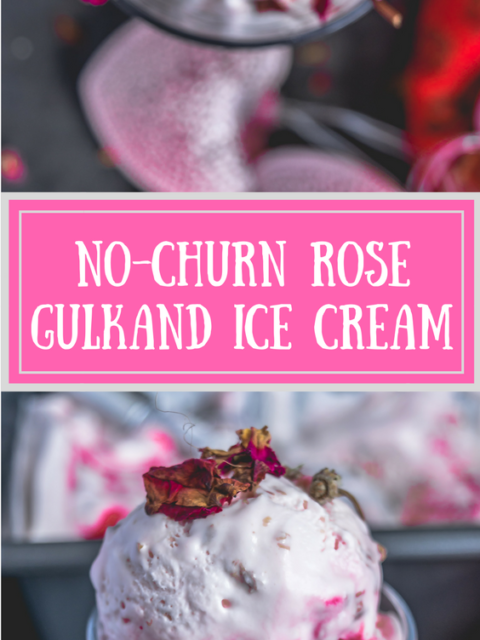 Here is a No-Churn Rose Gulkand Ice Cream recipe that you can make in just a few minutes. 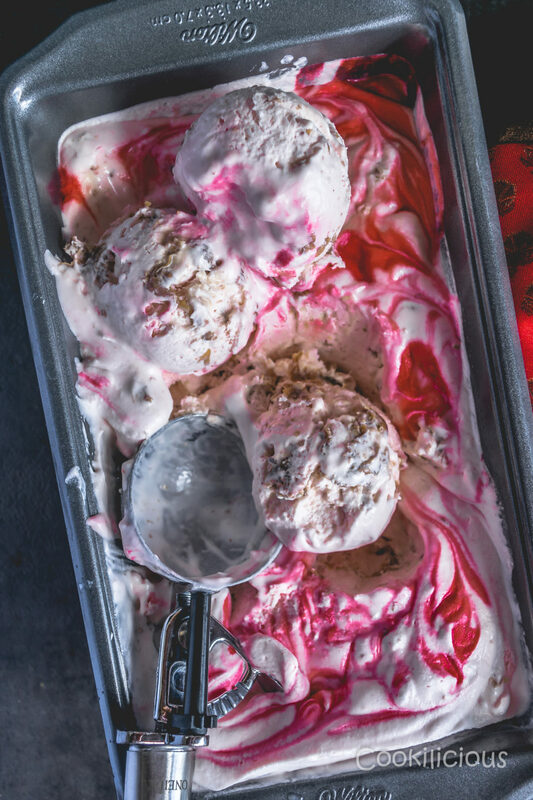 This supremely flavorful ice cream is great for entertaining and can easily become a family favorite. A simple recipe with easy to follow steps will keep you cool and refreshed besides leaving a sweet aftertaste. My mouth starts to water at the mere mention of Gulkand Ice Cream! However this dish was not something I had ever tasted before, but just the name ‘Gulkand’ produced that effect. Gulkand entered my life through my crazy bestie from school. Nearly every evening we would meet at one coffee shop in the market doing stuff teenagers do. With less money in our pockets, we would just split the cold coffee and then roam the streets chit chatting carefree. There was this particular paanwala who made Chembur’s best Paan. It is a preparation combining betel leaf with areca nut. She would always have a paan before we parted and insist that I have it too. I was never too fond of it as it had a different taste. But one day, magically the paan started to taste different and that is when my friend told me that she had ordered a meetha paan for me which contained gulkand. 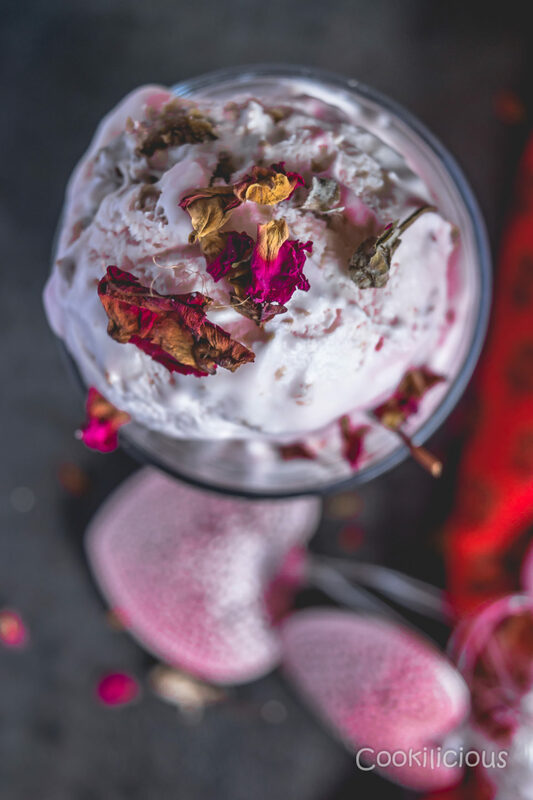 Gulkand is a sweet preserve of rose petals. This totally changed my views on paan and ever since then, I occasionally enjoy a meetha paan just for the gulkand. Few days ago, another friend of mine mentioned that she had gulkand tiramisu and it tasted amazing. That got me thinking. I went to the local Indian grocery store and picked up a packet of gulkand to try in different recipes. The first idea was to use it in a milkshake (which I eventually will) but later decided to create an ice cream recipe instead. Gulkand has a unique sweet taste to it. Its sticky, chewy but very appetizing to taste. Adding it to any dish would only enhance its taste. 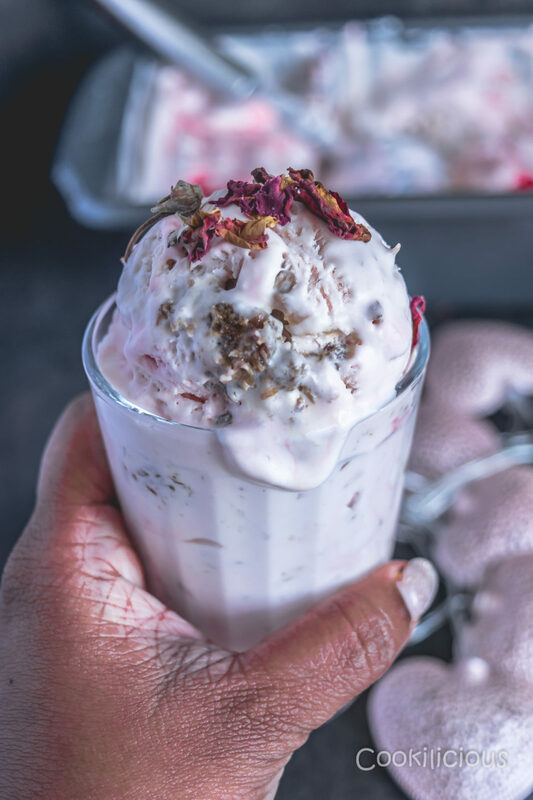 Last month I had prepared No Churn Ferrero Rocher & Raspberry Ice Cream and I thought of using that as the base recipe for this one as well. I prepared this ice cream for Holi Party this year. Let me tell you, it was “Superhit”!
. Drizzle some rose syrup on top, cover it with a cling wrap and freeze it overnight. What next? Enjoy this super simple yet lip smacking dessert called Gulkand Ice Cream! It’s time to indulge! Ice creams are welcome any season any day and one must not shy away from asking for a second or even third helping. No diet apply to ice creams and that is how I intend to keep it! 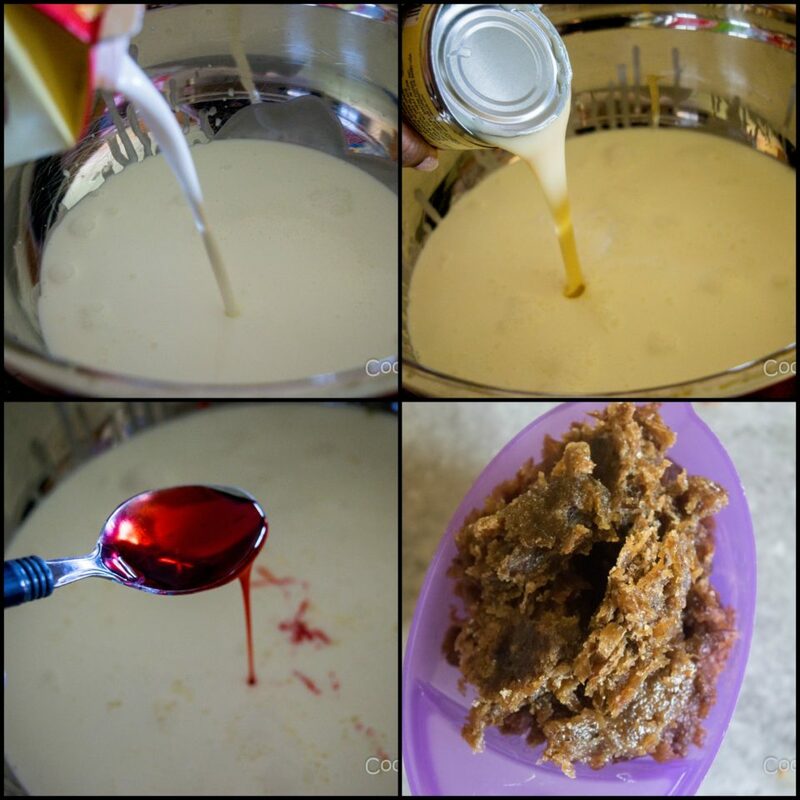 In a mixing bowl, add heavy whipping cream, condensed milk, rose syrup and rose extract . Beat the mixture until thick and creamy using an electric hand beater. Now add gulkand and fold it in the mixture. Pour this into a loaf pan. Drizzle some rose syrup on top, cover it with a cling wrap and freeze it overnight. What next? 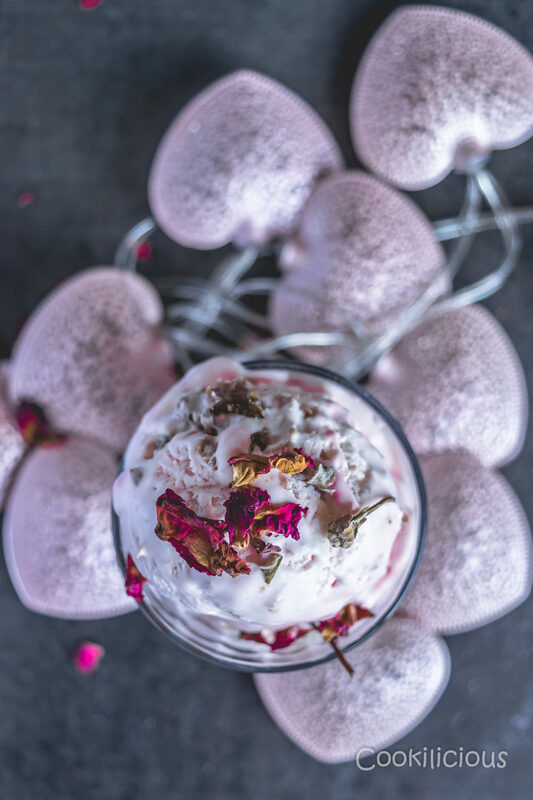 Enjoy this super simple yet lip smacking dessert called Gulkand Ice Cream! It's time to indulge! This recipe can be reduced to half. 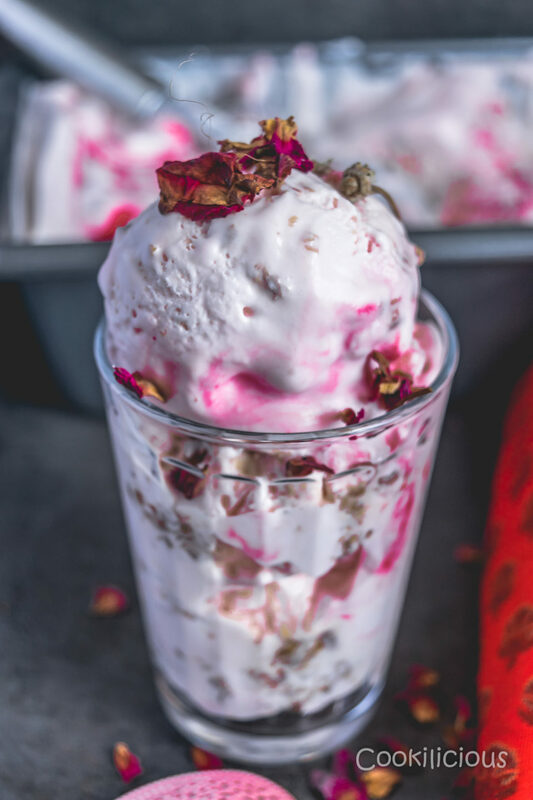 Some other ice cream recipes that you can prepare at home are No Churn Ferrero Rocher & Raspberry Ice Cream, 3 Ingredient No-Churn Immaculate Cookies Ice Cream, Vegan No Churn Peter Pan Peanut Butter & Cereal Ice Cream, Rabri Ice Cream with Beetroot & Raspberry Sauce, Strawberry & Oats Ice cream and Carrot Halwa Ice cream. Thanks a ton,looking forward hearing from you! !